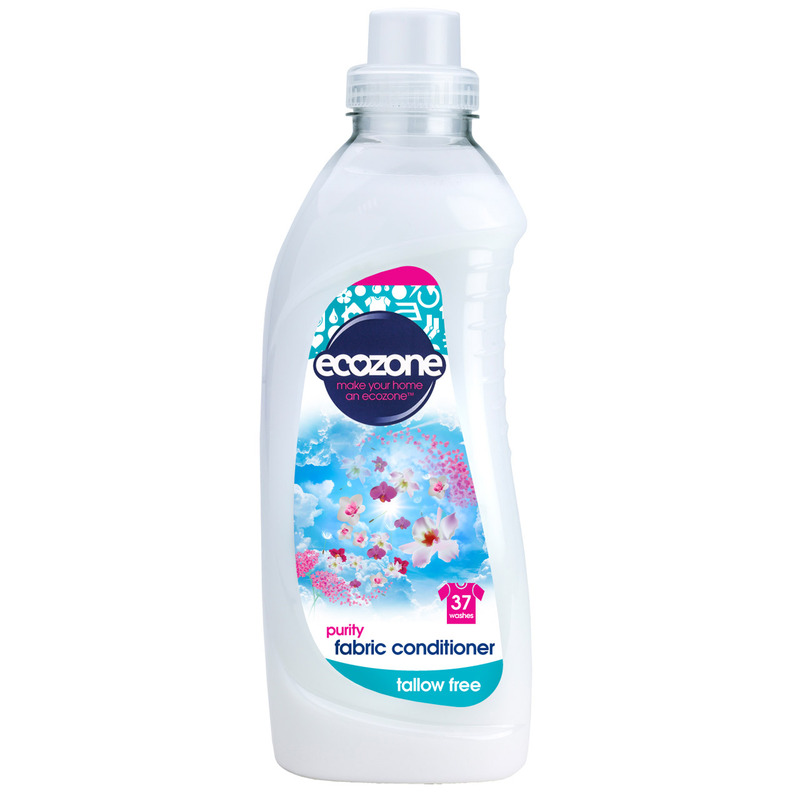 Ecozone fabric conditioner is tallow free. Tallow is a common ingredient extracted from rendered animal fat and it is used in most fabric conditioners. Ecozone's fabric conditioner uses the power of natural plant extracts to keep your laundry lovingly soft. The pure ingredients keep fibres smoother so clothes feel gentle and soft against your skin with a delicate floral fragrance. It might seem like a big softy but it’s so powerful, it keeps on softening for up to 37 washes. - Animal testing and ingredients. Bis (acyloxyethyl) Hydroxyetyl Methylammonium Methosulphate, Esterquat, Sorbic Acid, Perfume, Coumarin, Lyral. There are currently no questions to display about Ecozone Pure & Tallow Free Fabric Conditioner - Purity - 1L.